Noyes Capehart (Long) was born in Nashville, Tennessee, on December 13, 1933. He grew up in the small Nashville suburb of Old Hickory, a small factory town on the Cumberland River. Following high school, he attended the University of the South (Sewanee), before transferring to Auburn University to pursue a major in illustration. After completing the degree program in 1958, he sold his treasured MG-TD, and moved to New York City where he took a position as a guard at the Metropolitan Museum of Art. He remained with the museum until mid-December of 1960 when an unexpected temporary teaching offer from Auburn prompted his return to the South. Knowing that a master’s level degree would be required for a college level teaching career, he entered the graduate program at The University of Missouri in 1963, majoring in printmaking. He remained at the university following the completion of his graduate studies as an instructor. In 1967 he assumed a teaching position at The University of Mississippi in Oxford. Appalachian State University lured Noyes to Boone, North Carolina with a teaching position in 1969, and he remained with the university until his retirement in 1997. In January of 2008, Director Morgan Potts and a film crew from UNC-TV spent three days in the High Country filming and interviewing Capehart for a planned Our State segment on my Private Diary Series, scheduled for release in June of that year. A major portion of filming was done at a selected site between Boone and West Jefferson, a deserted house that he has painted several times during his forty years of residence in Watauga County. This superbly done 10-minute segment, directed by Potts and filmed by Mike Burke, recently won an Emmy Award. Through the cooperation and generosity of UNC-TV, this award-winning segment can now be seen in its entirety on their website. Noyes Capehart is professionally affiliated with the The Art Cellar Gallery in Banner Elk, North Carolina. 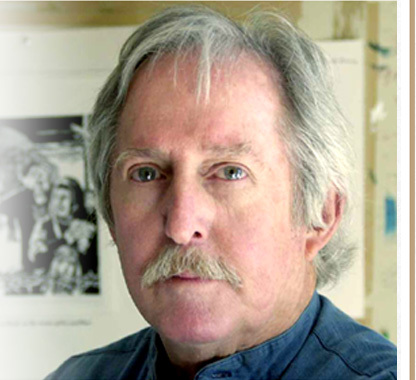 In addition to his professional involvement in art, Noyes is also deeply involved with writing and has, since the early ‘70’s, completed numerous short stories and novels. Devil’s Mark and Chameleon are both available to purchase on Amazon. Noyes is married to Suzanne Connor, and between them they have six children and twelve grandchildren.